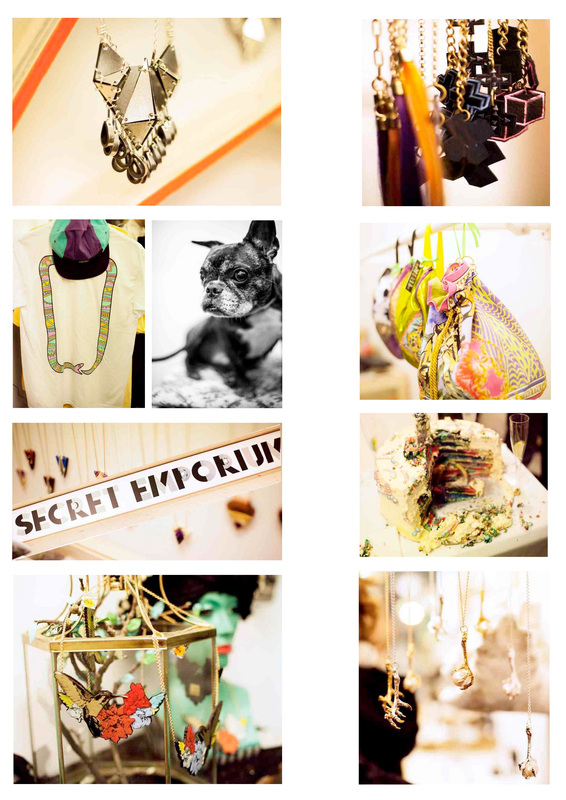 Secret Emporium’s Pop-up event at Boxpark was a huge success. We were lucky enough to attend the opening on the 15th of March were we sipped on Belvedere vodka cocktails and listened to the eclectic sounds of funk, soul and groove, mixed by Jay Karmin and Michael Palmer. All of the designer’s collections lived up to their expectations of being able to excite and inspire but it was the jewelry that stole the show! With EA Burns’ beautiful 3D pieces, Tessa Metcalfe’s ‘Delusions of Grandeur’ collection and Rosita Bonita’s under the sea inspired collection turning many heads. Along with newbies Wolf + Moon and Only Child also causing a stir amongst the guests. So after an evening of chatting to amazing designers and gorgeous people we left Boxpark lusting after everything, with excitement for the next secret emporium event and a slice of Pomp De Franc cake for the ride home.